But let’s say you’re still not satisfied. 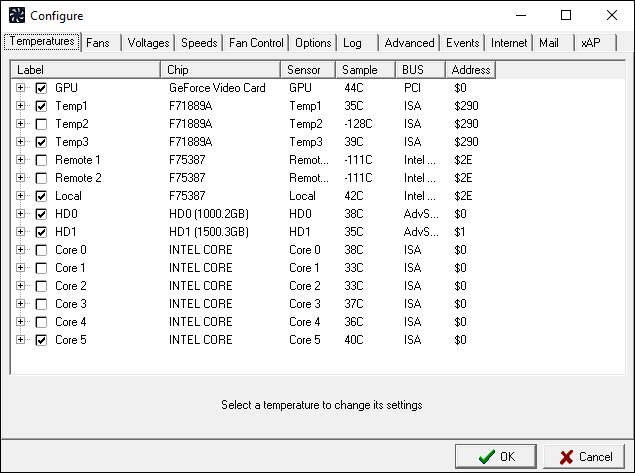 Depending on your computer, you may be able to change how hard and how often the fans run to cool down your PC. This is especially common (and necessary!) with home-built computers, but can sometimes work on pre-built desktops and laptops as well–though your mileage may vary. The fans in your computer can get power in one of two ways: From the motherboard, or directly from your computer’s power supply. 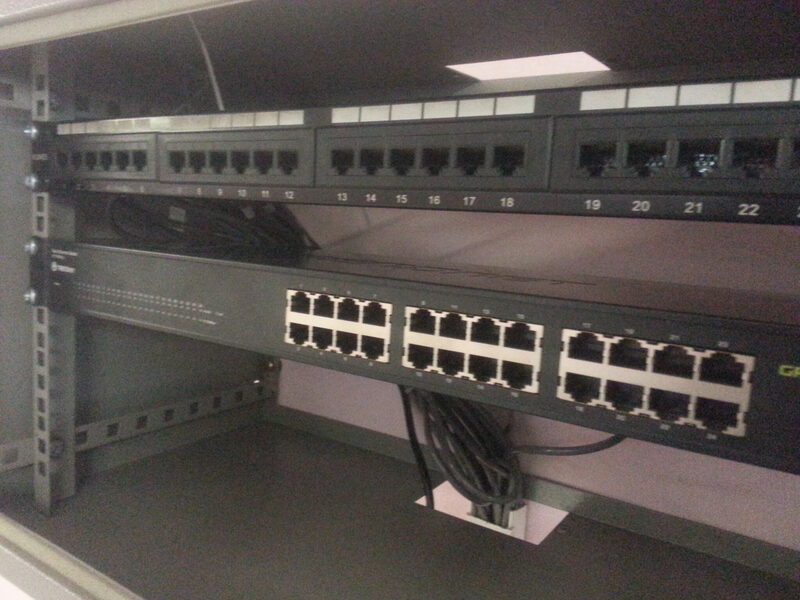 If they’re connected to the power supply (usually through a Molex connector), there’s no way to control them through software–you’d have to hook them up to a hardware fan controller. 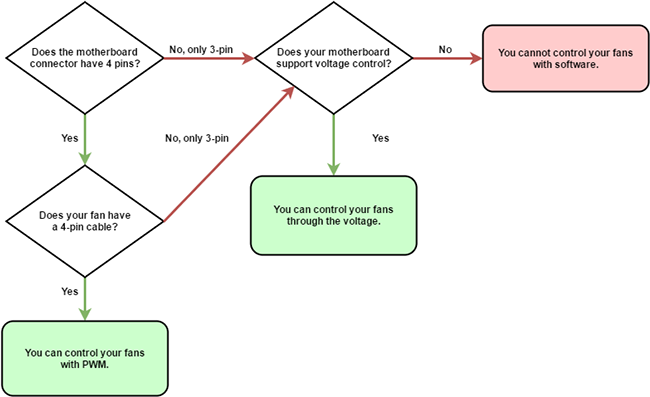 If your motherboard only has 3-pin connections, though, you can sometimes control the fans by changing the voltage supplied to the fan. Not all motherboards support this, though, so you’ll probably have to check your motherboard’s manual or search the web for answers. In addition, voltage control isn’t quite as smooth as PWM–but it’ll get the job done. 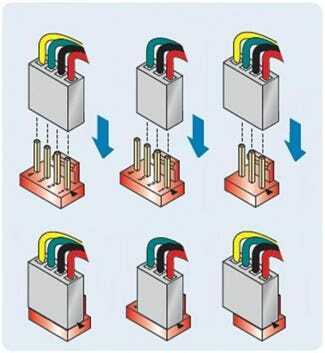 And, to make matters even more confusing, you can connect 3-pin fans to 4-pin sockets and vice-versa, as shown above–you just won’t be able to use PWM control. 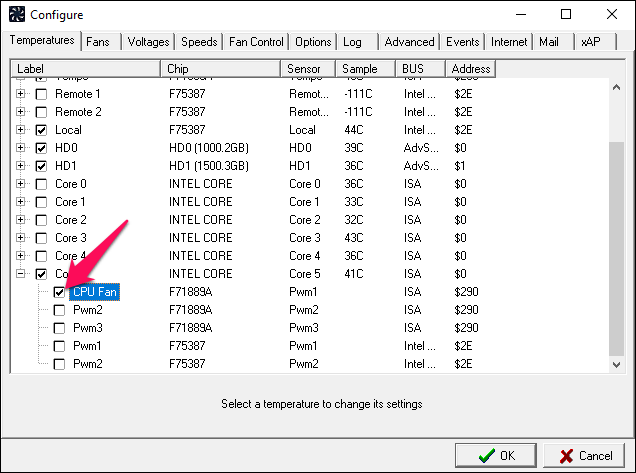 A lot of modern computers have fan controls built right in–you just need to dig into the BIOS. To access the BIOS, you’ll need to reboot your computer, and then press a certain key as it boots–usually Delete or F12. Your boot screen will let you know which, with a line like “Press DEL to enter setup”. 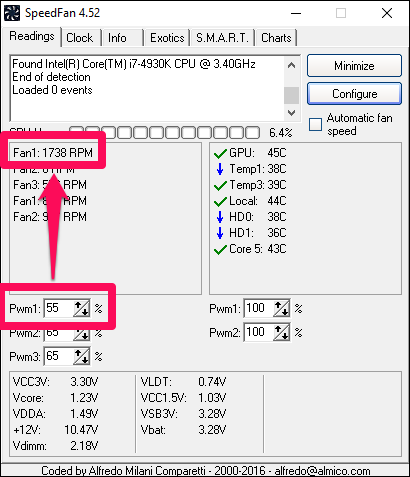 Your CPU fan will likely have an option for a target temperature, in degrees Celsius, and a minimum speed, either in percentage or RPM. Basically, this allows you to say “Keep my fan at X speed until the CPU reaches Y degrees–then intelligently ramp up the fan to cool it down.” The hotter your CPU gets, the faster your fan will spin. Not every motherboard will have all these options–some simplify it more than others–but most will follow this general pattern. Some motherboards may also come with their own applications to control the fans, in addition to the built-in BIOS options. We won’t go over these today, since they’re dependent on your motherboard and will be different for everyone–and the BIOS options are usually a better choice. Also, keep in mind that SpeedFan will not support every computer, so not everyone will be able to control their fans with this program. 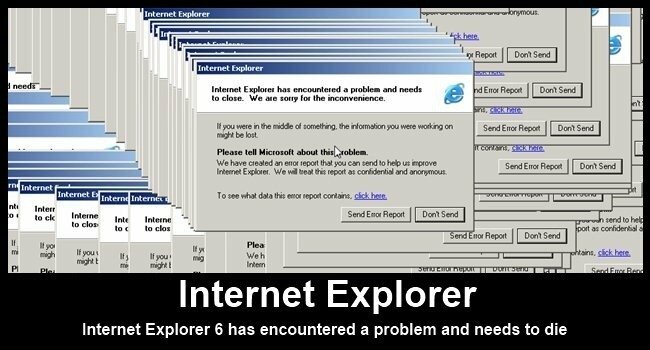 But, when it works, it’s pretty useful. You can check SpeedFan’s list of supported chipsets here, or just give it a try for yourself. Even though my motherboard wasn’t listed, it still worked well on my home-built PC. If at any point you find these instructions aren’t working for you, it may just be because your motherboard or fan setup is incompatible with SpeedFan. 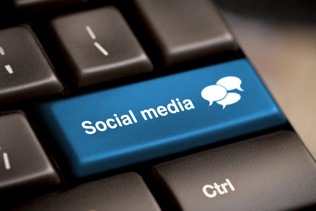 Don’t feel bad–you aren’t the only one. Download SpeedFan from its home page and install it (watch out for the ads on the download page–the real download link is much smaller, where it says “the latest version is ___”). 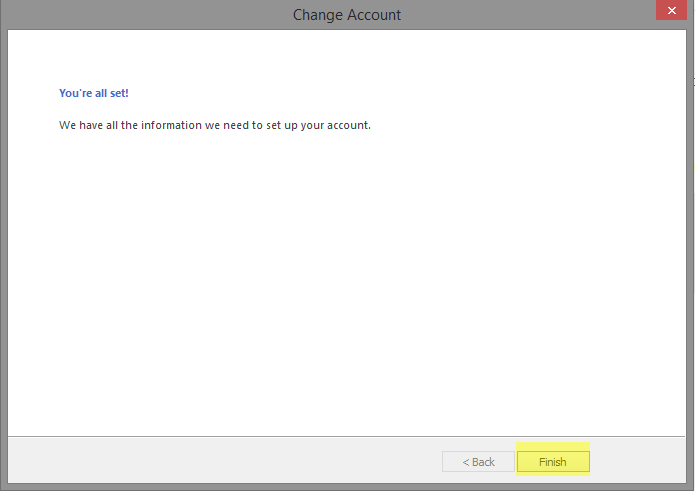 Start it up, and–after giving it a few seconds to scan your machine–you’ll see the main window. SpeedFan, unfortunately, doesn’t always label thing super descriptively. 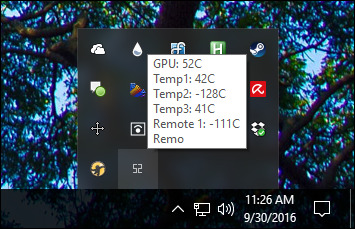 For example, in my screenshot, you’ll notice that some sensors are just called “Temp1”, “Temp2”, and “Temp3”–in my case, these are motherboard and system temperatures. HD applies to my hard drives, and “Core” 0-5 apply to the six cores on my CPU. 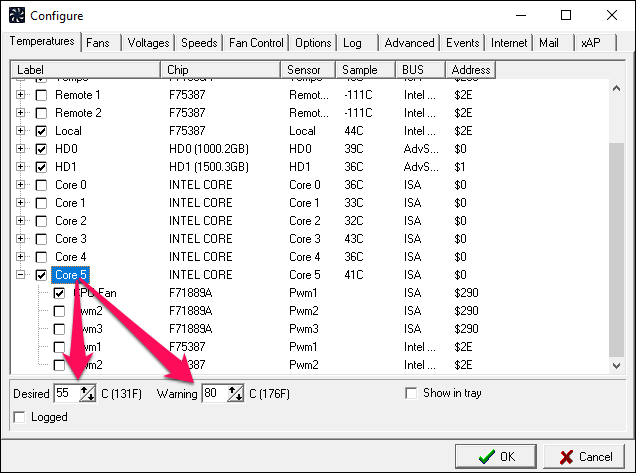 (Note: Some AMD machines may have a “CPU Temp” and a “Core Temp”–Core is the one you want to monitor. You may also note that some values are absurd–like my Temp2, Remote 1, and Remote 2 temperatures, which show as -111 degrees Celsius. That obviously isn’t accurate, and usually means there is no sensor for that entry. From the Temperatures tab, you can uncheck these sensors to hide them from SpeedFan’s main window. You can also uncheck other items you don’t need to see–for example, I’ve chosen to only show my CPU’s hottest core, rather than all six. This helps declutter the main window. NOTE: You may have multiple “Chips” in the topmost menu, so check them all–I had two items that started with “F” that I had to tweak. 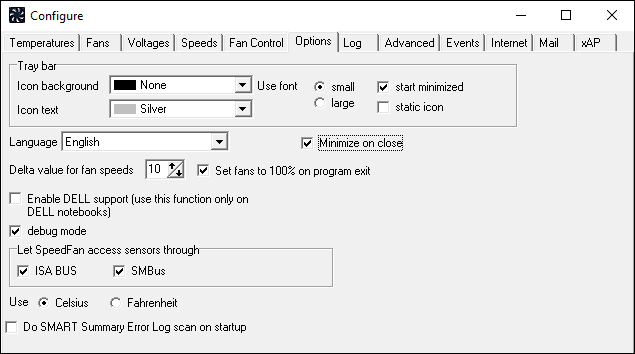 Before you adjust anything else, go to the Options tab and check the “Set fans to 100% on program exit” box. 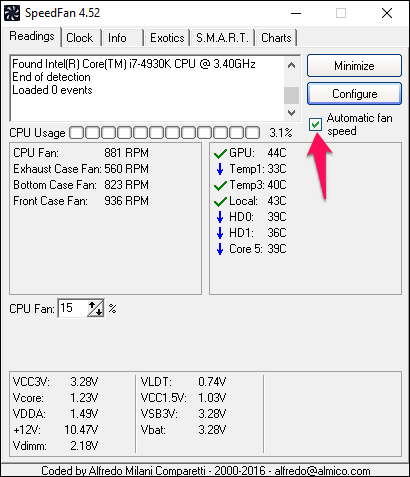 This ensures that if you accidentally exit SpeedFan–which would then cease to automatically adjust your fans–your fans will ramp up to 100%, ensuring they don’t get stuck at a low fan speed and overheat your computer. Now, click OK to go back to the main SpeedFan window. Use the arrow buttons to raise or lower the speed of your first fan–in my case, Pwm1. 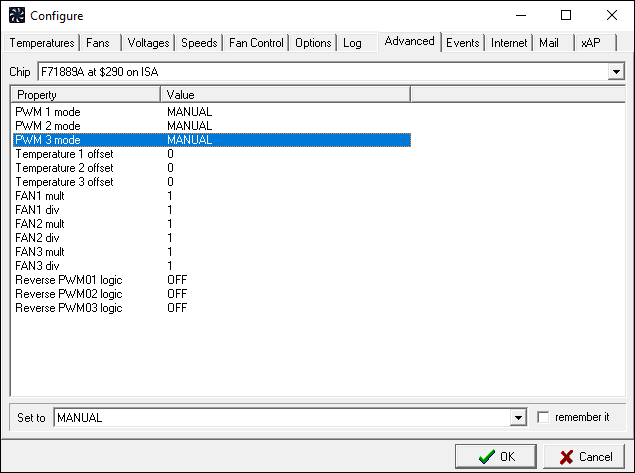 As I changed its speed, I could see the RPM values change for Fan1–so I deduced that Pwm1 controls Fan1. Since I can also hear and see the inside of my computer case (you may need to open yours up), I know that this is the fan connected to my CPU. You can repeat this process with your other fans. In my case, my CPU fan is the only 4-pin fan in my computer, and my motherboard doesn’t support voltage control for my 3-pin fans. So I’m basically done. But I’m going to rename the other fans anyway, and remove sensors that aren’t attached to a fan–just so I can keep track of which ones are which. 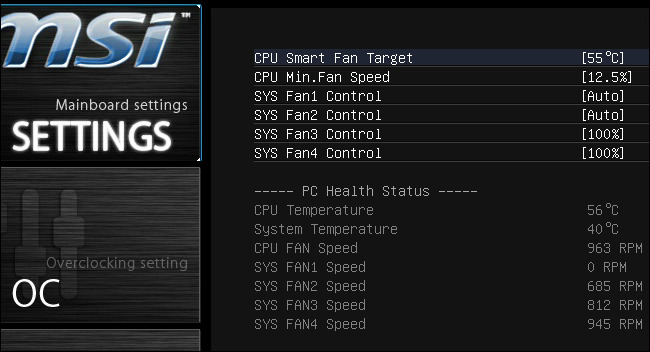 From the “Temperatures” tab, click on the plus sign next to a sensor to see all the fans it can control. Check the fans you want it to control. In my case, I want “Core 5” (my hottest CPU sensor) to control my CPU fan–so I’ll check that. Then, select the sensor itself–in my case, I clicked on “Core 5”–and you’ll see a few more options at the bottom of the window: “Desired” and “Warning”. “Desired” is the temperature at which the fans will start reacting. 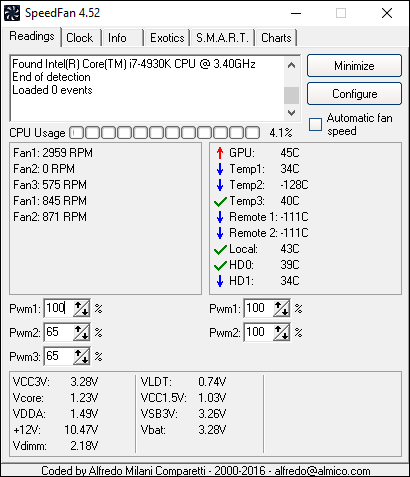 “Warning” determines at what temperature SpeedFan warns you that a component is getting hot (with a little flame icon next to the temperature), and starts running the fans at 100%. In my case, my CPU is overclocked, which means it runs a little bit hotter–and I’m going for silence whenever possible. So I’ll set my “Desired” temperature to 55, and my “Warning” temperature to 80. Your values may vary for your particular CPU, fan, and preferences. Lastly, head to the “Speeds” tab, and select a fan. 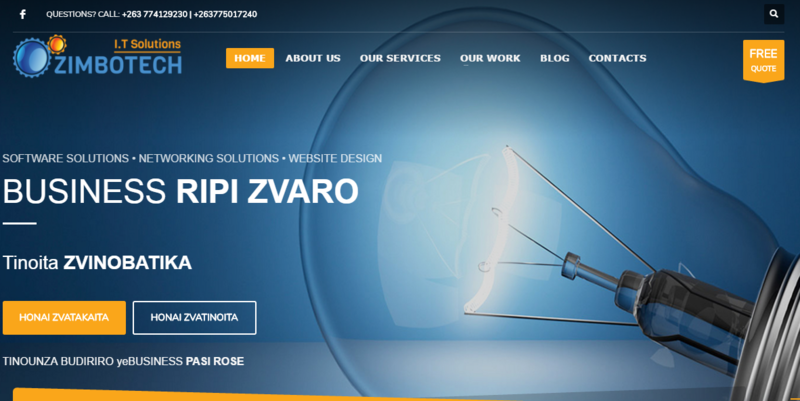 You’ll get two options: “Minimum Value” and “Maximum Value”. These do exactly what they sound like–the minimum value is the speed the fan will run when your temperatures are below the Desired you just set, and maximum is the maximum speed when it’s between Desired and Maximum. (Once your temperature reaches maximum, the fan in question will always run at 100%.) 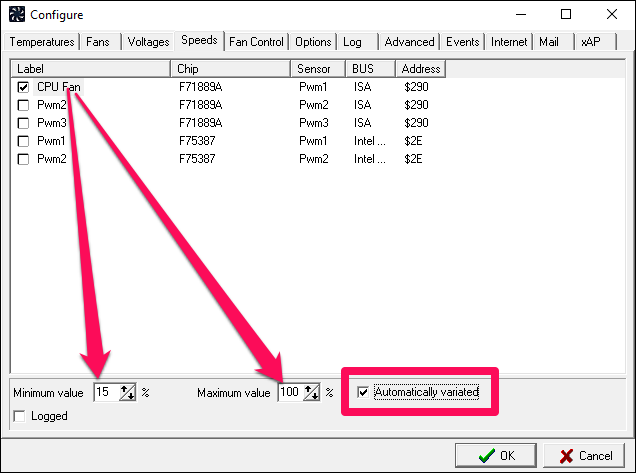 You may be able to set some fans to a minimum of 0 if they’re not directly connected to a component (like your CPU), keeping your PC extra quiet–but note that some PWM fans may not work at 0% in SpeedFan. Again, these are just my values–I have a particularly large heatsink, so 15% is a pretty safe number. 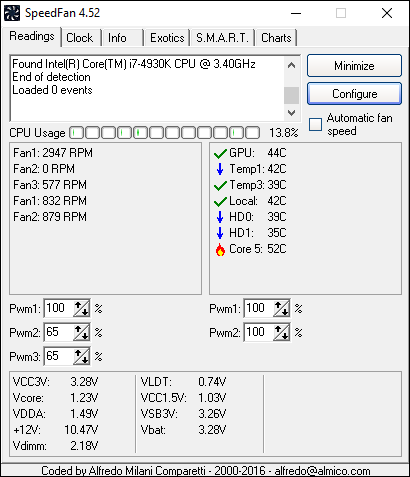 If you have a smaller heatsink, as most computers do, you may want to set your minimum higher than 15% to start. 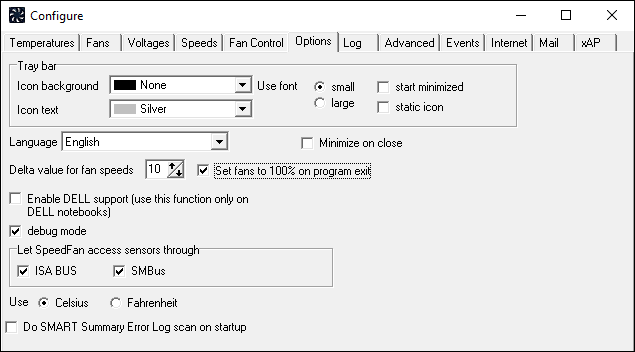 Lastly, back at the main SpeedFan window, check the “Automatic Fan Speed” box. Keep an eye on your fan RPMs and temperatures–you should find that they react just as you set out in the Temperatures and Speeds tab.